We are really proud of this award and we’de like to thank Cantine Ferrari and Associazione Le Soste that have chosen our company for this recognition. click here to learn more about it! 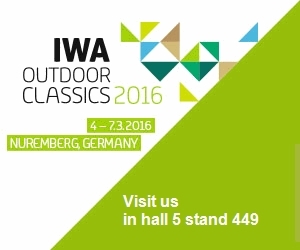 Coltelleria Saladini will be at IWA Outdoor Classic 2016 from 4th at 7th March 2016 in Nuremberg. Come and visit us in hall 5 stand 449! Coltelleria Saladini will be at Ny Now in New York, The Market For Home and Lifestyle, from 30 January to 3 February in New York City click here to have more information about Ny Now! 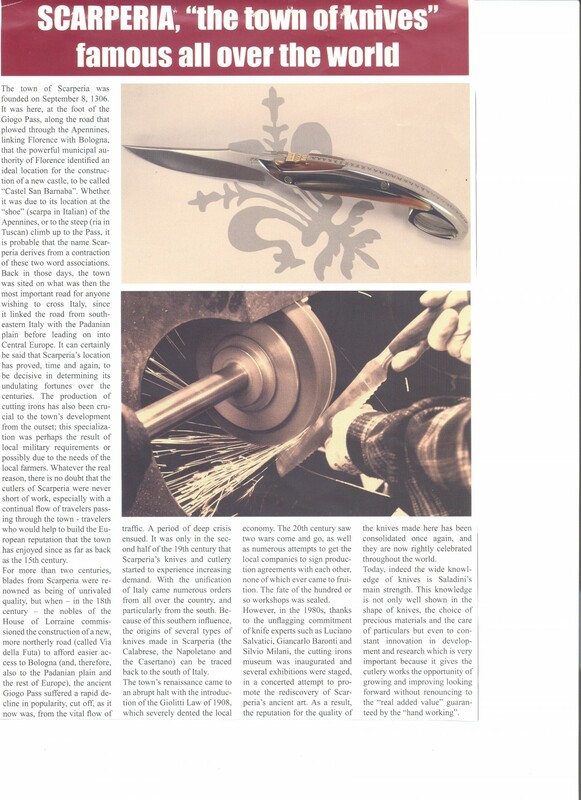 Thanks Affligem for involving us in their new project about Italian Excellence ….if you want to learn more about it, click on the following picture and keep on following us! 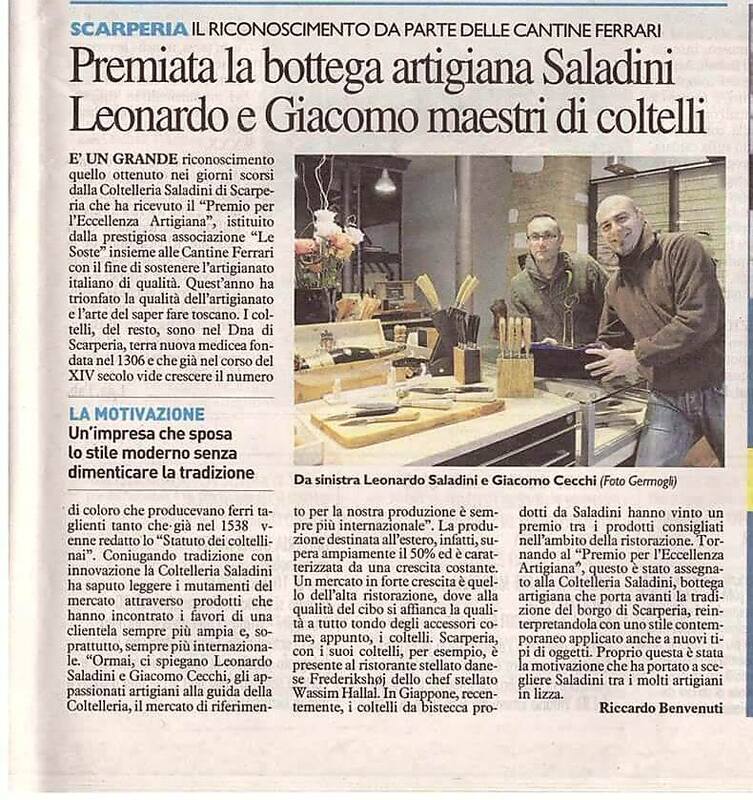 An article about coltelleria Saladini on one of the best Italian magazines regarding food and the best ways to taste it! Saladini’s cutlery on the popular Italian tv show Uno Mattina. Giacomo Checchi presents some knives of our kitchen collection. Please click here to watch the video! Saladini on Uno Mattina. Tv appearance	4 years, 9 months ago Comments Off on Saladini on Uno Mattina. 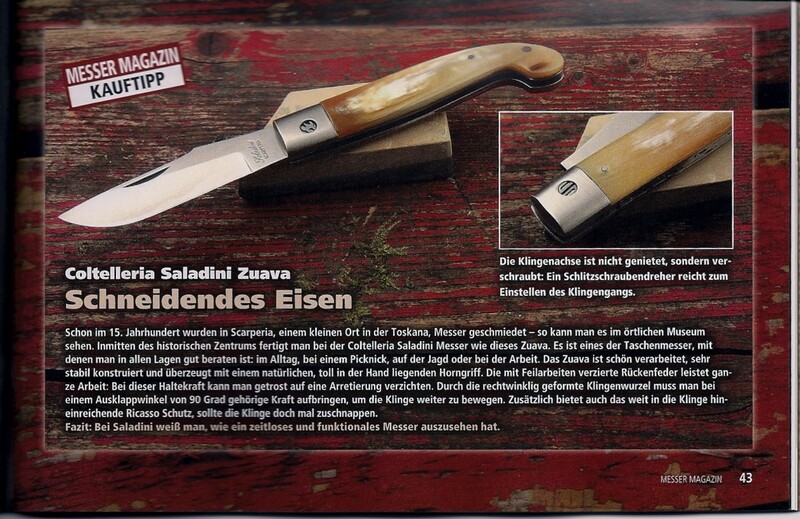 An article on Saladini’s Zuava written on the German magazine Messermagazin. 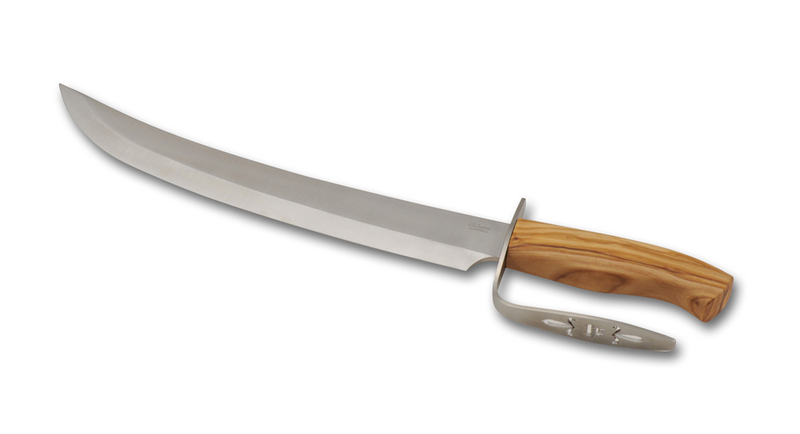 Saladini’s Zuava is considered the “Knife of the year” and it’ s recommended according to tests done on 12 different knives.